You probably already know that there are some bacteria out there which are good for you. They form the natural lining of your gut and have many functions. But what are the best probiotic foods to eat to help keep your gut healthy? Let’s see right now. 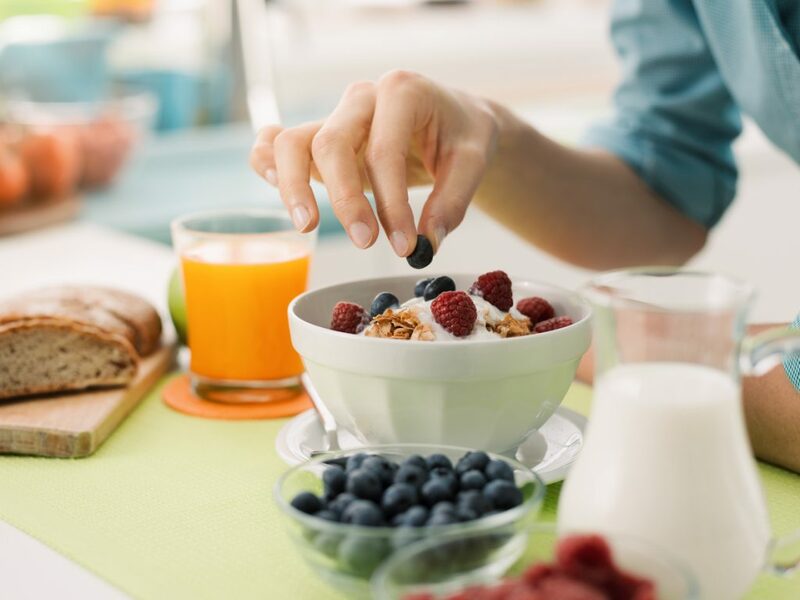 Your gastrointestinal system needs all the help it can get these days because there are so many sources of problems for it: stress, for one, then lack of a balanced diet – we’re all guilty of that, it’s hard to keep up in this day and age. So the health of your microbiome – those good for you bacteria – is super important to maintain. That’s where the best probiotic foods we’ve picked for you come in. And these foods help you stay healthier, minimize inflammation, which means your risks for getting a common cold or cancer, heart disease, and arthritis, get slimmer. Not to mention that taking care of your gut also helps you keep your ideal weight. But let’s see what you should find a place for in your diet. This is probably the most famous probiotic food out there. Just a small caveat, make sure that the yogurt you buy has ‘live active cultures’ on the label – cause that’s where the bacteria is. Other than that, it’s not that important if you eat regular yogurt or Greek yogurt, Australian or Icelandic types, and you can go for full-fat or low-fat. Just don’t go for artificially flavored yogurt, because it’s loaded with sugar, and sugar is like kryptonite for your gut. Get plain yogurt from the store and add your own sugar-free toppings. I always have on of these at home, to improve the health of my gut. It’s super tasty, I can drink it straight out of the bottle because it has that great consistency between creamy and liquid. It’s one of the best probiotic foods because it contains multiple types of live active cultures. One more advantage? It is 99 percent lactose-free, which means that if you’re lactose intolerant you can totally have this. Just try a little bit before you glug the whole bottle, make sure your body responds to it in a positive way. The fermenting process that turns a cucumber into a lovely, tasty pickle, basically infuses the vegetable with probiotics. But it’s not all of the pickled cucumbers that give you that advantage. Make sure you pick the ones that are made using brine, aka salt and water, and not vinegar. Once again, you should look at the label and make sure the pickles have ‘live active cultures.’ There are other foods that can be pickled, too, like carrots, cauliflower, and beets. And be careful not to eat too many, because they’re really salty. 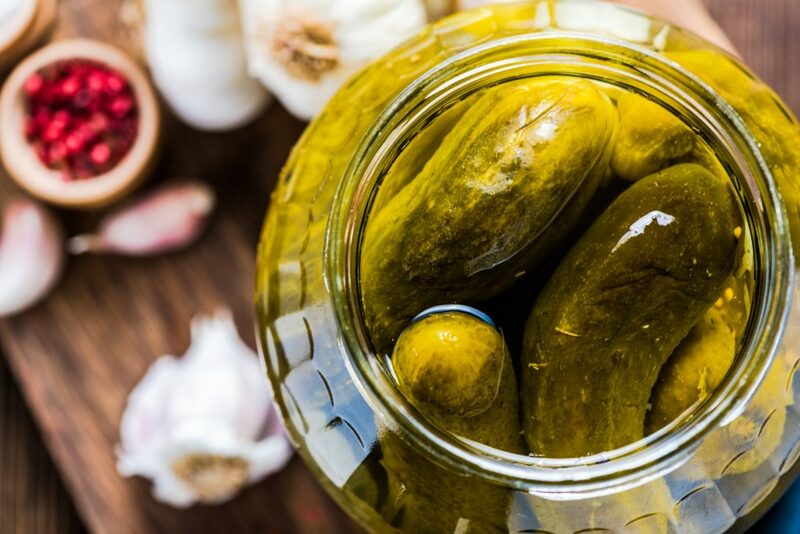 Make sure that your pickles are made with brine, not with vinegar. This lovely iteration of cabbage is fermented for preservation purposes, and it’s been like that for thousands of years. It turns out that it has really great beauty and health benefits, you just have to know which one to pick. Because it’s usually canned with vinegar, you should also check out the label with fresh live cultures, but you can also make it at home. This bread that’s definitely ‘in fashion’ right now contains a friendly bacteria (lactobacillus) that adds healthy microbes into your baked goods. This type of loaves are a bit sour and have a chewy texture. The lactic acid in it might actually be great for you if you’re concerned with diabetes. According to a study, people who ate sourdough bread had less of a blood sugar spike than yeast-made bread.